Activity-packed holidays: Kissimmee holidays prove there’s much more to Florida holidays than theme parks. And whilst Kissimmee holidays are still close to Disney World, Kissimmee holidays have a myriad of other attractions and activities to keep you occupied throughout your holidays, ranging from natural parks to golf courses, zoos and museums. Beach holidays: Being 30 miles from the coast, you could be forgiven for thinking that Kissimmee holidays won’t offer much for beach holidays. However, with two man-made beaches lying in scenic lakefront positions, Kissimmee holidays certainly surpass all expectations. Golfing holidays: Florida holidays are fantastic for golfing, and there are at least six courses close to Kissimmee. So if well-tended greens and fairways are your thing, you’ll find everything to suit your sporting dreams on Kissimmee holidays! Forever Florida: Explore the abundant natural sights of Kissimmee holidays at this 4700 acre eco ranch. It features streams, forests and wetlands teeming with all sorts of wildlife, from bears and deer to alligators and panthers! You may even catch a sight of them if you take a ride over the special 750 foot zip line. Or maybe you’ll prefer to explore the park by more traditional methods, either by coach or horseback safari. Shingle Creek Regional Park: Another beautiful park to explore in the region of Kissimmee holidays, the 450+ acres of Shingle Creek make the perfect habitat for turkeys, turtles, otters and deer. You can also appreciate the leafy green surroundings by canoe on the local streams and lakes, or by foot on the natural walking trails. The Big Tree: This famous tree is an incredible sight to see on your Kissimmee holidays. One of the largest cypress trees in America, it’s over 3,500 years old and amazingly has a circumference of 15m! Golf holidays: Kissimmee holidays have a simply staggering array of golf courses, making a great American destination for golfing holidays. Falcon’s Fire Golf Club is particularly popular and has won numerous awards, whilst Orange Lake Resort actually has four courses within its grounds, as well as offering great value all inclusive holidays! Also look out for Kissimmee Oaks and Remington – you’ll find that most courses on Kissimmee holidays are lavishly looked after, with trimmed greens, wide fairways and exciting water features. Access to the golf courses also usually comes as part of the all inclusive package on all inclusive holidays in Kissimmee. Osceola County Historical Society: This charming site is a great attraction to visit during Kissimmee holidays, especially with the permanent Pioneer Village exhibition which includes several structures which actually stood in the local area in the 1800s. These buildings include a Lanier Family Cracker House, a general store, a cracker cow camp and a blacksmith’s shop. There’s also a museum which collects together artefacts from the late 1800’s and helps tell the story of where Kissimmee got its name and exactly what a ‘Cracker’ is, amongst other things! Gatorland: Set across 110 acres, Gatorland features more than a thousand alligators and two hundred crocodiles, as well as an aviary, a petting zoo and a swamp walk. It’s an exciting and educational experience for the whole family during Kissimmee holidays, but even more thrilling is the new zip line which zooms above one hundred and thirty giant alligators! Warbird Air Museum & Adventures: This is a fantastic museum for anyone with even a passing interest in aviation. The star of the show is the T-6 plane (also known as the Texan) which served in World War II. You can even take a flight in the plane for an exciting tour of the skies – it’ll certainly make to a memorable experience on your Kissimmee holidays! World of Orchids: This incredibly relaxing attraction features a huge greenhouse with a beautiful array of colourful, delicate orchids. The surroundings are made even lusher by verdant jungle plants, free-flowing streams and flying parrots. It’s the perfect place to unwind on Kissimmee holidays. Kissimmee Lakefront: The east coast of Florida is over 30 miles away, but you can still enjoy a beachside experience at this man-made beach in Kissimmee. The whole area is very well facilitated too with a children’s playground, restaurants, picnic tables and even an open-air barbecue, making it perfect for Kissimmee holidays. St Cloud Lakefront Beach: St Cloud is another idyllic place to enjoy a lakeside beach on your Kissimmee holidays. It’s a real pleasure to enjoy the scenic views of Tohopekaliga Lake whilst enjoying a picnic close to the waterfront. Cocoa Beach: This beautiful coastal town is around an hour’s drive from Kissimmee and has lots to keep you entertained during your holidays. As well as having a gorgeous sandy white beach there are also some museums, golf courses and zoos to explore nearby. Difabio’s Pizzeria: This authentic pizzeria offers huge servings of authentic food. Try the massive calzone (folded pizza), garlic dough balls, and of course, classic pepperoni pizza! The casual atmosphere only adds to the enjoyment when you’re dining here during your Kissimmee holidays. El Tenampa: This top Mexican restaurant is very popular with those on their Kissimmee holidays for its live music and fantastic spicy food. All the classic dishes you’d expect are offered here, including fajitas, enchiladas and nachos. King O Falafel: For a great alternative from the many fast food chain restaurants you’ll come across during Kissimmee holidays, you should certainly head to King O Falafel. It offers great value Eastern-inspired cuisine, including of course, their famous falafel (flavoured chick pea balls), creamy humus (chick pea, garlic and sesame seed dip) and tasty chargrilled chicken kebab. Pubs and bars: Kissimmee holidays have a great variety of American style bars where you can get a feel for the true drinking experience of the USA. Look out for bars such as Roscoe’s, Brothers and there’s even a bar named Cheers like the famous TV series! But if you want a real home-from-home experience, you should head to the Fox & Hounds. It has a typical British village style with white walls and painted black crossbeams. This classic pub also serves English and Irish beer on tap! On the subject of Irish drinks, you’ll also love Mulligan’s. It’s an Irish theme pub which has live music and karaoke that helps amplify its warm atmosphere. Shopping complexes: Nothing is small on Kissimmee holidays so as you might expect the shopping centres here are absolutely massive! The best ones you’ll see on Kissimmee holidays include Orlando Premium Outlets which houses over 150 outlet stores of famous brands such as Burberry, Diesel, Giorgio Armani and Lacoste. On top of that, there’s the Lake Buena Vista shopping outlets, which features 52 outlets of labels like Nike, Gap and Fossil. Or how about the huge The Loop centre? This massive open-air mall has all the well-known American retailers plus a cinema multiplex and a large food court. Old Town Kissimmee: Maybe you’re after a more authentically American shopping experience during your Kissimmee holidays? Well you’ll find it at Old Town Kissimmee. There are more than 75 shops here, laid out like an American Wild West town complete with wooden huts and porches. 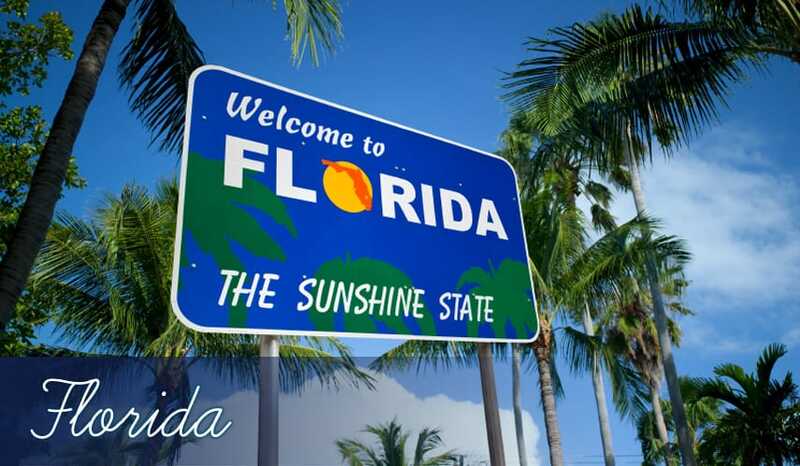 It’s a great place to pick up cheap leathers and jeans, plus there’s a huge choice of souvenirs to remind you of your holidays in Kissimmee too. Osceola Flea and Farmers Market: A real vibrant shopping experience for your holidays, this large market lies between Kissimmee and St Cloud. It boasts more than 900 stalls with the opportunity to try all kinds of delicious street market food, as well as the opportunity to buy bargain clothes, furnishings and electronics.